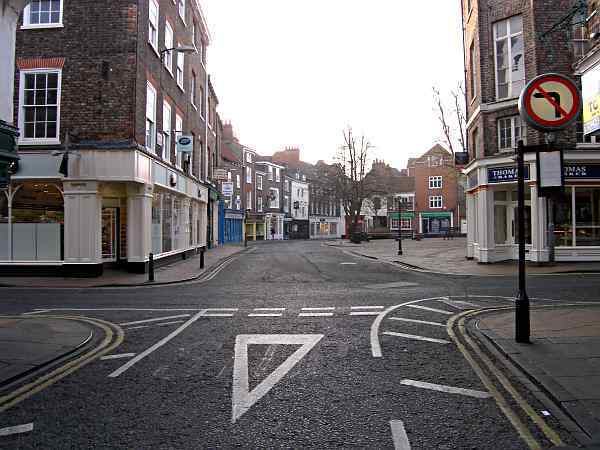 York Within the Walls: Low Petergate: Looking South East. Looking towards the Kings Square. Photo: taken Sunday morning, 15 April 2007. Photo Copyright Dave Woodcock 2008.